Yes we install aftermarket accessories at Team Ryan Automotive. 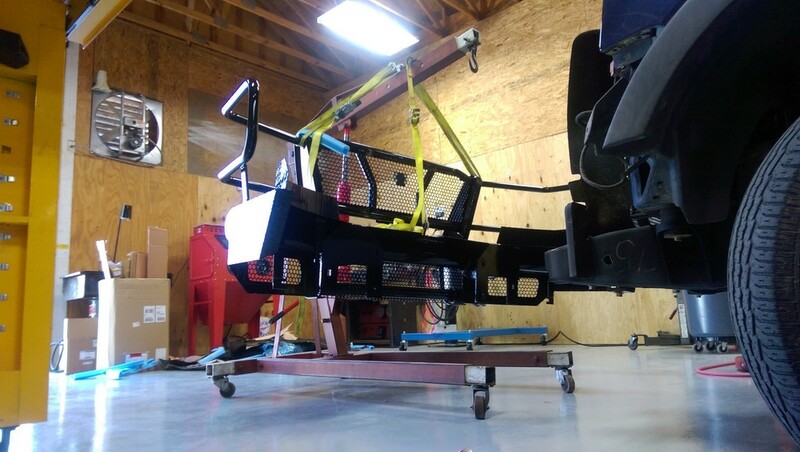 This is a 220 pound front bumper being picked up with our engine hoist. Here we are getting this thing properly positioned being very careful not to damage any of the painted surfaces. Almost got it on there. When adding an additional 200 plus pounds to the front of your vehicle, we recommend performing a wheel alignment to make sure any changes in ride height can be adjusted and compensated for to prevent any possible abnormal tire wear.